Dr. Timothy Harris, Prime Minister of St. Kitts and Nevis, at his July 27, 2016 press conference, outlined a four-pillar approach being implemented to address the de-risking issues facing the indigenous banks operating in the Eastern Caribbean Currency Union (ECCU) (See: "Government Takes Steps to Deal with Fall from De-risking" The News, Basseterre, July 28, 2016). 2.Encouraging the indigenous banks to register on the SWIFT Know Your Customer Portal which was launched in December 2014 (Pillar 2). 4.Considering the establishment of a Caribbean bank in the USA (Pillar 4). No doubt, this four-pillar approach is quite impressive and implementable. But, as always, the devil will be in the details of erecting or otherwise constructing these four interconnected pillars in an efficiently sequenced manner. Dr. Harris, however, did not indicate the sequence in which these pillars would be erected or whether one event must be completed before another event could be started or whether simultaneous events would be expected to occur. For example, would Pillar 3 have to await the completion of Pillar 1? Or would Pillar 4 ever be implemented prior to the achievement of Pillar 3? The erection of Pillar 4 could well be dependent on (a) the establishment of the ECCU consolidated bank adequately capitalized and managed to meet the de novo, or bank acquisition-change of ownership/control application requirements of the US bank regulatory agencies; (b) the ability of the ECCU consolidated bank or its holding company to demonstrate to the US regulatory agencies that it could serve as a source of strength for its bank affiliate operating in the US; and (c) the organizational characteristics and proposed activities of this affiliate – would it be chartered as a wholesale or as a retail bank operating in the US? Under these circumstances, Pillar 4 would be a low or eliminated event in addressing the immediate issues of correspondent bank de-risking now being implemented by banks in the US and elsewhere. Simultaneous action must therefore be focused on Pillars 1, 2, and 3. Dr. Harris' statement of the problem of de-risking, as well as, his identification of the pillars in the solution set was well informed and transparent. Dr. Harris publicly acknowledged the contribution made by Sir Dwight Venner, one of the most competent and established Caribbean central bankers. He indicated that Governor Venner's recognized the importance of a single safe and sound amalgamated indigenous bank operating in the ECCU that, he so often described as a "single market space," and initiated measures for the establishment of such a bank in the ECCU. Dr. Harris reminded the nation that fast-tracking the consolidation and amalgamation of national banks was "part of the Eight-Point Plan that the former Eastern Caribbean Central Bank (ECCB) Governor, Sir. K. Dwight Venner, had brought forward to deal with the economic difficulties that ensued after the financial crisis. Because of the following reasons, it is important to stress the importance of the consolidation pillar or Pillar 3. Managing the quantity of risk. Some banks offering correspondent banking services, have determined that maintaining hundreds of correspondent banking relationships around the world could be unprofitable, whether or not these relationships pose significant risks. Such a situation may arise if the volume of transactions conducted does not generate the targeted fee amount, and the balances maintained in the correspondent accounts are significantly below a targeted minimum. Some banks have, therefore, decided to close selected correspondent relationship to manage both their risks and costs. The consolidation and amalgamation pillar. The immediate and efficient implementation of Pillar 3 would reduce the number of ECCU banks with independent correspondent relationship. For example, instead of several such relationships, one for each bank, consolidation would result in having only one such relationship for the consolidated bank, and its branches. In addition, the non-interest bearing deposits maintained at the correspondent accounts of the several small independent indigenous banks would be consolidated into one relatively large interest bearing deposit of the consolidated bank. Finally, the transactions processed through each correspondent account of the several indigenous banks would be processed through the account of the consolidated entity. The account relationship with the consolidated bank would be more profitable and less risky than the relationships with the several relatively small banks. Phasing the consolidation process. The Finance Ministers and other responsible individuals and entities in the ECCU may consider implementing Pillar 3 in phases. This phased approach, would take into account the fact that some shareholders are private individuals and entities while others are public institutions or organizations. The phased approach would also recognize the fact that some shareholders would have to be convinced that the value of their shares would be enhanced due to the increased operational efficiency of the consolidated entity and this entity's ability to maintain its correspondent relationships because, among other things, the advantages of scale the smaller banks can never experience. Phase one of the consolidation process, may focus on integrating the large indigenous banks by asset size (for example, two or three of these banks accounting for about 60 percent of the aggregate EC$ amount of the ECCU indigenous banks assets). 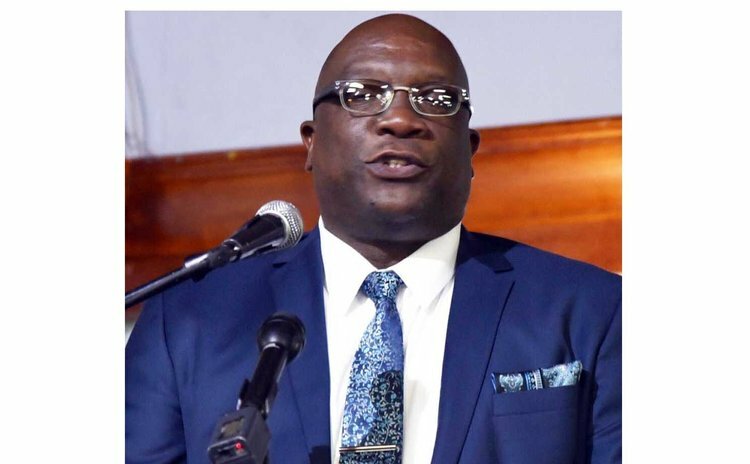 Dr. Harris must be complemented for disclosing to the public the Monetary Council's four-pillar approach to address the correspondent banking issues facing the indigenous commercial banks operating in the currency union. No doubt, Dr. Harris and the Council are quite aware that when it comes to solving the de-risking issues, there could be no single panacea in a system as complex as the global banking network and interlocking regulatory and law enforcement agencies – thus the importance of Pillar 1 above. Foreign banks or other financial services providers offering correspondent banking and other international payment services to the ECCU indigenous banks may improve their levels of transparency by collaborating through utilities and other shared repositories of customer data to expand anti-fraud protections while cutting compliance costs. On the other hand, when a ECCU indigenous bank is faced with the imminent prospect or aftermath of being de-risked, it could improve its transparency regime to make it an attractive respondent to maintain – thus the importance of Pillar 2 above. Dr. Harris may also be complemented for recognizing the seminal work done by Governor Venner in the area of indigenous bank amalgamation in a single market space; and more so for encouraging years ago, the indigenous banks to prepare a consolidation/amalgamation plan of action. In fact, the Monetary Council, in its wisdom, has recognized that bank consolidation would minimized or even eliminate the risk of losing established correspondent banking relationships -– thus the importance of Pillar 3 above. Unfortunately, it may not be surprising should the Monetary Council discover that it is much easier to obtain consensus on the four pillars for implementing counter de-risking measures than to implement these measures themselves in an efficient and sequenced and time-specific manner. This may already be the case explaining the delayed implementation of Pillar 3.